The mission of the Deer Research Program is to develop a scientific basis for the sustainable management and harvest of free-ranging white-tailed deer throughout south Texas and elsewhere. Scientists associated with the Deer Research Program are committed to conducting research relevant to free-ranging white-tailed deer in southern Texas and northern Mexico. This research seeks to increase understanding of white-tailed deer ecology and thereby increase the effectiveness of deer management. Scientists at the Institute are committed to promoting habitat management and conservation because of its importance to deer and all other wildlife. We are committed to working with landowners and deer managers in southern Texas in meeting our goals. Texas Native Seeds is a research and development program, augmenting and providing products to the commercial seed industry. TNS works to develop native seeds that can be produced commercially, in volumes needed by restoration professionals in order to have ecosystems level impacts on native plant and wildlife conservation. TNS is a visionary effort to do something now, while substantial native plant populations still exist and provide a reservoir for collection, evaluation, and development of tomorrow's seed sources today. Highways, oil and gas production, wind farms, transmission lines, urbanization…the signs of progress for Texas are also the sources of decline for native plant communities in Texas. From desert grasslands of West Texas to Blackland prairies of Central Texas to brushlands of South Texas, native habitat disturbance is on the rise. Invasive exotic species such as buffelgrass and guinea grass in South Texas and Old World bluestems and bermudagrass throughout the rest of the state are invading disturbed areas of native habitat and choking out native plant communities at a startling rate. Land management goals have undergone a dramatic shift in the last 2 decades, from a livestock production based economy on rangelands, to an economy based on recreation, conservation, and multiple uses. Today’s land management goals are complimented by native plants. As a result, the need and desire for restoration of native plants by private landowners and government agencies has increased substantially over the past decade. A cornerstone of restoration for disturbed or displaced native habitats is cost-effective, commercially available native seed sources, available in large quantities to meet the scope of the need in our state. to prevent invasive species from dominating disturbed sites and expanding across the state. to mitigate the impacts of a booming oil and gas industry. to prevent erosion on roadsides, reduce mowing costs, and protect and compliment biodiversity of the surrounding private lands. 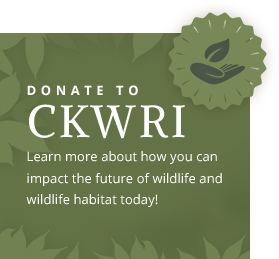 to increase and improve wildlife habitat, and reverse the decline of bobwhite quail and other wildlife. to enhance and sustain our public and private lands for tomorrow. Texas Native Seeds was founded by a generous research grant from the Texas Department of Transportation (TxDOT) on September 1, 2010. 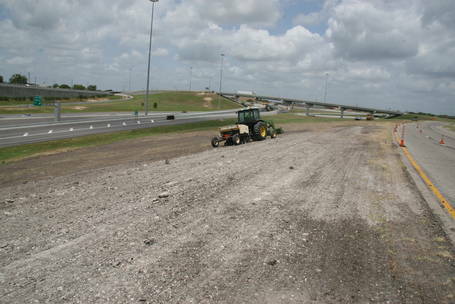 Private funding sources help augment TxDOT’s contribution. Texas Natives Seeds is a collaborative project, with leadership and commitments from a variety of academic, natural resources conservation, and agency institutions. Native habitats are a vital part of our Texas heritage, and with your help, Texas Native Seeds will insure that legacy is maintained and enhanced for future generations to enjoy. The Quail Associates Program is a network of citizen scientist ranch owners who donate dollars and data to help understand annual changes in quail productivity across south Texas. More than twenty ranches annually donate wings from hunter-harvested quail. This allows scientists to calculate juvenile to adult ratios which is a direct estimate of annual population productivity. This is the first time that such a data set has been collected in south Texas. Now in its eighth year, the Quail Associates Program has examined the relationship between habitat conditions and population productivity. The program has also provided samples that were used for the first ever landscape scale assessment of the genetic structure of quail in south Texas. Want to Join the Quail Associates Program? If you would like more information on joining the Quail Associates Program, please contact Leonard Brennan, Ph.D. via email or 361-215-2237. The Landscape Ecology program at Caesar Kleberg Wildlife Research Institute focuses on understanding the causes and consequences of the composition and configuration of landscapes in South Texas and how this influences wildlife. We are committed to research that will (1) improve our understanding of spatial patterns and their role in ecological processes affecting wildlife; (2) identify relevant spatial scales that are important to habitat ecology and management; (3) and integrate wildlife, livestock, and land cover information to develop more comprehensive approaches to research and management. South Texas provides a unique opportunity for this research because of its huge diversity in landscape mosaics and wildlife species. The Landscape Ecology Program is focused on multidisciplinary research aimed at understanding the spatial patterns that drive ecological processes on South Texas rangelands. These processes include animal movement, the effect of land use and land change on wildlife species, and the expansion of invasive species on native rangeland, amongst others. To answer some of these questions, the use of geographic information systems, global positioning systems, remote sensing, and landscape ecology tools which are becoming an essential part of the natural resources professionals’ toolbox. The mission of the wildlife habitat management program at the Caesar Kleberg Wildlife Research Institute is to conduct research that will improve our ability to conserve and restore wildlife habitat to maintain biologically diverse wildlife populations. Habitat ecology and management are among the most critical areas of wildlife research. Loss of habitat is the most significant threat to wildlife conservation worldwide. One million acres of wildlife habitat are lost to urban sprawl in the United States every year. The Caesar Kleberg Wildlife Research Institute is committed to research that will 1) result in conservation and proper management of habitat for diverse wildlife populations; 2) enhance our knowledge of the effects of human use of the landscape for agriculture and other activities on wildlife habitat and result in the discovery of ways to minimize habitat degradation resulting from these activities; 3) enable us to better understand interactions between game and non-game wildlife species and their habitat, particularly mechanisms and processes that drive habitat selection; and 4) result in the discovery of better ways to improve wildlife habitat. South Texas provides an excellent laboratory for this research because it contains extensive tracts of contiguous habitat that support a greater variety of wildlife species than most areas of its size. Our mission is to develop and promote management practices to maintain an equilibrium among domestic livestock and wildlife species on rangelands in a sustainable manner optimizing biological and economical outputs for operations in Texas and Northern Mexico. And to generate the scientific knowledge to develop science based management practices for conservation and sustainable use of rangelands. We are committed to conducting research that may be applied to the conservation and management of habitats in Texas and northern Mexico. Researchers intend to increase understanding of the complex relationships among vegetation, wildlife, and domestic animals to restore, maintain, or improve habitat conditions throughout the use of best management practices to accomplish specific objectives of livestock/wildlife operations. The mission of the Richard M. Kleberg, Jr. Center for Quail Research is to develop a scientific basis for the sustainable management and harvest of wild quail populations throughout south Texas and elsewhere. We are dedicated to conducting original research on wild quail populations in south Texas, and elsewhere. This dedication is rooted in the ecological and cultural importance of quail in this part of Texas. It is also motivated from the broader context of bobwhite populations, which have declined significantly over most of their geographic range during the past four decades or more. Quail—primarily northern bobwhite—research is a huge priority at the Institute. We maintain a strong commitment to quail research because: (1) south Texas contains the largest remaining expanses of quail habitat in North America, (2) quail hunting is an important economic force in south Texas, especially when combined with white-tailed deer and other hunting activities, and (3) habitat management that sustains wild quail populations is likely to have widespread, positive effects on scores of other desirable wildlife populations, including grassland birds, other small game species, as well as threatened and endangered species. Collaboration among the Institute science staff has always been a major strength at the core of the Institute’s mission. The interpretation of genetic data from wildlife species hinges on a sound knowledge of the biology and behavior of the species in question. Pairing knowledge of genetic techniques with species-specific expertise has resulted in an exciting and diverse array of genetic studies aimed at gaining a better understanding of Texas wildlife. The Molecular Genetics Program is committed to the development of new genetic markers, automation of laboratory instrumentation, and improved computing power in order to make large-scale genetic studies of wildlife populations feasible. When genetic tools became available, wildlife scientists began to use genetic methods to answer questions about wildlife ecology and behavior. This relatively new and rapidly expanding field is now commonly referred to as molecular ecology. Due to the ever widening array of questions that can be answered using genetic techniques, the Institute science staff recognized the need for on-site expertise to help integrate genetic components into studies of wildlife ecology and management. Our mission to develop and promote native plants for restoration and reclamation of habitats on private and public lands and focusing on the development of locally adapted native plant seed for south Texas habitat. The South Texas Natives program was developed in response to the increased construction of highways and pipelines, increased oil and gas activity, and the increased awareness of native plants as a vital component of wildlife habitat. The Mission of the Waterfowl and Wetland Bird Research Program is to conduct high-quality research relevant to the sustainable management and Conservation of waterfowl and wetland birds. Scientists associated with the Waterfowl and Wetland Bird program are committed to conducting high-quality research relevant to waterfowl and wetland birds and their habitats along the western Gulf Coast. Our research seeks to increase understanding of waterfowl and wetland bird ecology to increase the effectiveness of conservation and management efforts. We are committed to promoting science-based habitat management and conservation because of its importance to these species and all other wildlife. We are committed to mentoring graduate students to become successful, engaged professionals in the wildlife field. We do this through high-quality instruction, unmatched hands-on research projects, and numerous professional development opportunities. Our high-quality graduate students are the fuel that helps the Waterfowl and Wetland Bird program run efficiently. We are also committed to working with private land owners and promoting science-based habitat management. Because our research is largely applied in nature, it becomes relevant only when applied on the ground. Most of the wildlife habitat in Texas is under private ownership, thus private landowners are extremely important in the sustainability of wildlife populations. Because of this, we are committed to providing high-quality outreach to Texas’ citizens. The mission of the Education and Outreach Program is to provide opportunities for people of all ages and backgrounds to learn to appreciate and understand wildlife and ecosystems through curricula development, education and outreach programs, and education research. The Education and Outreach Program strives to bridge the gap between scientific research and the public. Our research focuses on human dimensions in wildlife sciences and instructional development and education. In addition, we aim to incorporate research findings from scientists at the Caeser Kleberg Wildlife Research Institute into our programs to educate and involve the South Texas community in wildlife conservation. Quail Associates Research Thumbnail Text.